The Plant Protection News is designed to provide a service to our global IAPPS Membership and to promote Global IPM. With members from more than 60 nations, the organization seeks to stimulate the development and exchange of plant protection information among researchers (entomologists, plant pathologists, nematologists, weed scientists, plant breeders, social scientists, economists, and crop production and marketing specialists), extension specialists, growers, policy makers, administrators, crop protection consultants, and environmental and other interested groups. IAPPS provides a global forum for the purpose of identifying, evaluating, integrating, and promoting plant protection concepts, technologies, and policies which are economically, environmentally, and socially acceptable. The expertise of the IAPPS Executive Committee and Governing Board members who serve as resource persons on the Plant Protection News is detailed below. Prof. E. A. “Short ” Heinrichs is an entomologist with expertise in integrated pest management (IPM). His research focus has been on the integration of resistant crop varieties with other control tactics in pest management systems. His crop emphasis has been tropical rice. He has also conducted research on soybeans, wheat, groundnut, vegetables, and maize, as well as estate crops including cashews. He has worked in many countries and has long-term experience in agricultural development programs in Asia, South America and Africa. He has had extensive experience working on multidisciplinary teams involving sociologists, plant breeders, soil scientists, agronomists, economists, plant pathologists, weed scientists, entomologists, and nematologists. His IPM experience involves cooperation with international agencies including USAID, World Bank, African Development Bank, and International Agricultural Centers (IARCs) of the CGIAR. Dr. Heinrich’s research has been published in more than 300 scientific articles, and he is the author of nine books. He has expertise in the development of IPM training programs and Farmer Field Schools for extending agricultural technology to extension workers and farmers. He was involved in the development of the International Rice Research Institute (IRRI) rice IPM training program and has authored a number of training modules and training manuals. His administrative experience includes: Head of IRRI’s Department of Entomology in the Philippines, Head of the Department of Entomology at Louisiana State University, and Program Leader at WARDA in Côte d’Ivoire and as Program Director of the IPM CRSP at VA Tech which involved the management of IPM projects at sites in Africa, the Caribbean, Eastern Europe, Latin America, South America and Asia. He has served as a professor on the faculties of four universities in the United States and the Philippines. Dr. Heinrich’s is currently Assistant Program Director for INTSORMIL at the University of Nebraska-Lincoln with sorghum and pearl millet projects in Africa and Central America and IAPPS Secretary General. Rangaswamy Muniappan, a biological control specialist, is Program Director, IPM CRSP at the Virginia Polytechnic and State University. He received his PhD Entomology from Oklahoma State University in 1969; He worked at the Guam Department of Agriculture from 1970 to 1975 and then moved to University of Guam. He was President, International Organization for Biological Control (IOBC) – South East Asian Regional Section, 1993-1996; Chairman, Chromolaena Global Working Group, International Organization for Biological Control, 1992-2006; and Fellow, Royal Entomological Society of London, since 1992. His early work involved in use of spiders in biological control and tritrophic interactions of resistant barley, greenbug, and its parasitoid. His recent research involves the management of both invasive weeds and insect pests in tropical countries especially in Asia and the Pacific. His achievements include control of pest insects, the papaya mealybug (Paracoccus marginatus), pink hibiscus mealybug (Maconellicoccus hirsutus), fruit piercing moth (Othreis phallonia), red coconut scale (Furcaspis oceanica), orange spiny whitefly (Aleurocanthus spiniferus), New Guinea sugarcane weevil (Rhabdoscelus obscurus), banana weevil (Cosmopolites sordidus), the Asian cycad scale, Aulacaspis yasumatsui and cruciferous crop pests and the weeds, Siam weed (Chromolaena odorata) lantana (Lantana camara), ivy gourd (Coccinia grandis), and the giant sensitive plant (Mimosa diplotricha). He has been a long standing member of the International Organization for Biological Control (IOBC) and as the Chairman of the Global Working Group on Chromolaena, he conducted seven international workshops in Africa, Asia and Australia from 1988 to 2006. He has been instrumental in establishing the IOBC global working group on Parthenium in 2009. Currently he is managing the USAID funded Integrated Pest Management Collaborative Research Support Program (IPM CRSP) which includes Central, South and Southeast Asia, East and West Africa and Latin America and the Caribbean regions of the tropical world. 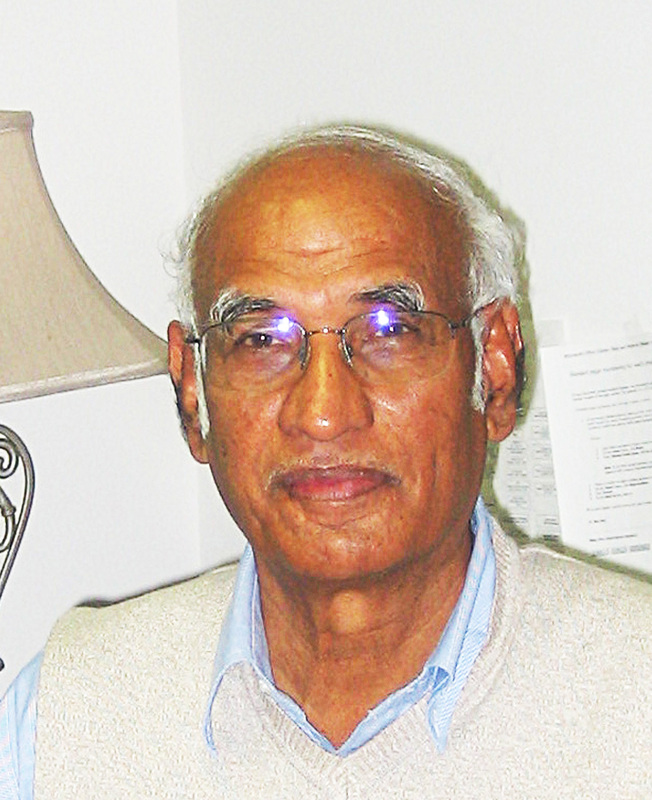 Dr. Muniappan is an IAPPS Governing Board Member and Coordinator, Region XI: North America. Prof. Jim Steadman, a plant pathologist, began his international career when he was invited to present a lecture on the influence of plant architecture on diseases and consult with the bean program scientists at Centro International de Agricultura Tropical (CIAT) in 1978. From this interaction with CIAT scientists, the need for, and opportunities to do research in the developing countries of the Americas became apparent. In 1979 an exploratory trip to the Dominican Republic was made to assess possibilities of establishing a USAID Collaborative Research Project there. Dr. Steadman was one of the initial group of bean scientists to work in what has become the Bean/Cowpea Collaborative Research Support Program. Dr. Steadman was a member of a delegation of USAID-Washington and Caribbean officials who, in 1989, negotiated successfully with the local Mission to retain the B/C CRSP bean research effort in the Dominican Republic. It was through training of Dominican scientists, release of improved varieties with improved yields and development of disease management strategies that led to the Dominican Republic becoming self-sufficient in bean production in the late 1990′s. Dr. Steadman, through the Bean/Cowpea CRSP, has been contributing to Dominican Republic agriculture for over 25 years. He served as the Chair of the Technical Committee that has oversight of the research activities in East, West and Southern Africa and Latin America, and the Caribbean, and served as chair of the LAC Regional project.a similar way. Dr. Steadman had a seminal role in Sclerotinia Workshops. In 1974 he was one of four scientists who organized the first International Workshop and has served on the organizing committee or was the organizer of the 12 additional workshops that were presented over the past 30 years, most recently in England and New Zealand. He also was a co-convener of the first Australasian Sclerotinia Workshop in Tasmania and has served as external examiner of Sclerotinia related Ph.D. theses in Canada and Sweden. Dr. Steadman presently serves as the Chair of the Sclerotinia Subject Matter committee of the International Society of Plant Pathology. 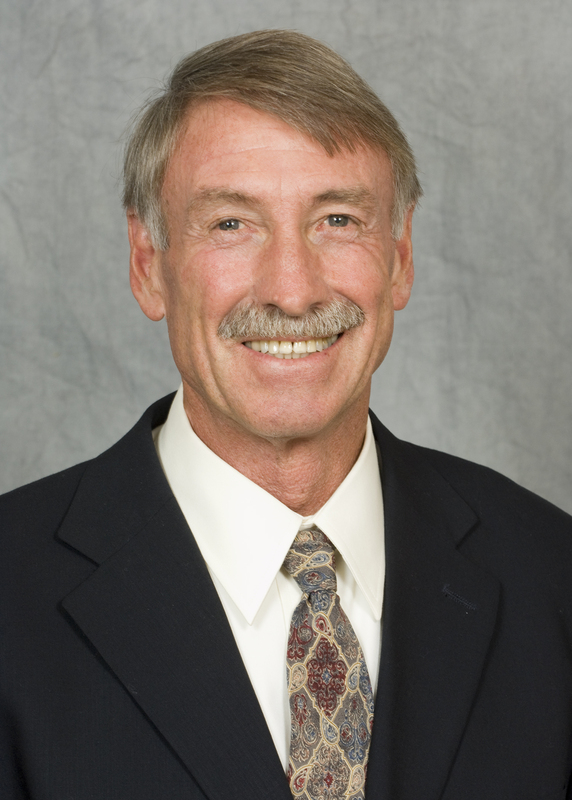 Dr. Steadman has dedicated nearly 40 years to international research training and outreach. He has presented Invited lectures and talks in Argentina, Australasia, Costa Rica, Sweden, England, South Africa, Egypt and Tanzania. Prof. Steadman is IAPPS Treasurer. Prof. Gary Hein, an entomologist, is Director of the Doctor of Plant Health Professional Program and Professor of Entomology at the University of Nebraska-Lincoln. He is a resource person for the Insects, Education and IPM categories in this Blog. He completed his M.S. and Ph.D. in Entomology from Iowa State University. He worked for over 20 years at the University of Nebraska – Lincoln, Panhandle Research and Extension Center developing and implementing IPM programs for insect pests in dryland and irrigated crops grown in the state’s western semi-arid region. Major crop involvement has included wheat, barley, sunflower, proso millet, corn, sugar beet, dry bean, plus rangeland and a number of developing specialty crops. Prof. Hein’s current research focus is on wheat curl mite biology and ecology and the epidemiology of its three vectored viruses. The work focuses on improvement of integrated management options (cultural tactics and plant resistance) for this mite-virus complex on wheat that seems to be expanding worldwide. Prof. Hein recognized the universal need for comprehensively trained professional practitioners in addressing the future needs of production agriculture, and as such, has undertaken the directorship of the Doctor of Plant Health Program at UNL. The mission of the program is to produce highly competent plant practitioners who are broadly trained in all the various disciplines (entomology, plant pathology, plant science, soil science, weed science) that impact plant health and plant management. These practitioners will be capable of integrating this broad training to diagnose and solve plant health problems and to develop plant management systems that maximize the system’s economic, environmental and social sustainability. Prof. Geoff Norton, Associate Director, Centre for Biological Information Technology (CBIT), The University of Queensland, Australia. Prof. Geoff Norton has extensive expertise in Systems analysis and decision analysis tools for IPM, IPM stakeholder workshop facilitation, Economics of plant protection and Use of Information Technology for IPM information dissemination, training and decision support. Dr. Norton serves as resource person for the Pest Diagnostics, Education and Technology Transfer categories in this Blog. Geoff Norton has been involved for over thirty five years in the development and worldwide application of a series of analysis and IT tools for crop protection problems. Systems analysis, decision analysis, and workshop facilitation tools have been developed and used for analyzing issues and exploring solutions to pest management problems. Generic software tools have been developed that allow clients to produce CD and online products for training and decision support in crop protection. The main focus of this activity has been on providing support to policy, research, advisory, and pest management decision-makers. Geoff Norton has extensive project and consulting experience in Europe, Asia, Australia, Africa, and South America, in collaboration with various public and private sector organizations. He has been involved in projects and consultancies concerning weed, insect and disease management in field crops (such as cotton, rice, temperate cereals), plantation crops (such as sugar cane, cocoa and apples), and horticultural and vegetable crops. He has provided consulting services for a wide range of organizations, including Environment Directorate, OECD, Paris; International Institute for Applied Systems Analysis, Vienna; Ford Foundation, New York; New South Wales Department of Agriculture, Sydney; IICA/EMBRAPA, Brasilia; International Fund for Agriculture and Development, Rome; International Rice Research Institute, Manila and Consultative Group for International Agricultural Research, New York. Geoff Norton was at Imperial College, University of London for over 20 years where he was Director of the Silwood Centre for Pest Management from 1984 to 1992. He was responsible for overall administration of the Centre and for initiatives in the three main Centre activities – research, training (including short courses and a one-year Masters course in Pest Management), and consulting. 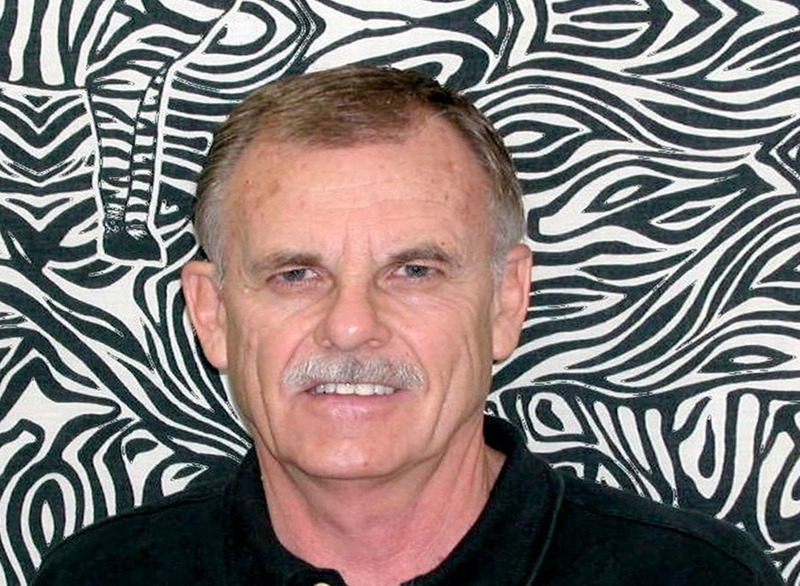 In 1992 Geoff Norton moved to Australia to become Director of the Cooperative Research Centre for Tropical Pest Management based in Brisbane (1992-1999). The Centre consisted of four partner institutions – CSIRO Division of Entomology, The University of Queensland, Queensland Dept. of Primary Industries and Queensland Dept. of Lands. Staff from these institutions worked collaboratively on IPM research, training and implementation activities associated with tropical pest management issues in Australia and overseas. Geoff Norton is currently Associate Director (part-time) at the Centre for Biological Information Technology (CBIT) at The University of Queensland. The Centre develops a range of software tools, including the Lucid identification system and Scenario Based Learning Interactive – products that are used for training and decision support in various crop protection activities. K.L. Heong conducts research in the areas of insect ecology, sociology of farmers’ decision making, design and implementation of communication strategies and entertainment-education. He holds a PhD and a DSc from Imperial College, London. His research in pest ecology has shown that rice systems have inherently high fauna biodiversity that provide vital ecosystem services to protect crop yields. However farmers, often due to motivation by the private and public sector to apply insecticides at first sight of insect damage, spray their crops unnecessarily. These actions often bring about no economic gains and instead do more harm by reducing the ecosystem services thus making their fields vulnerable to pest invasions. Working with a social scientist, he applied social psychology into his work to communicate integrated pest management (IPM) principles in simple ways to rural farmers. 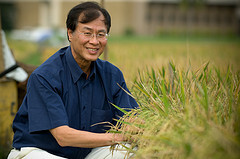 His trans-disciplinary research has contributed towards significant changes in rice farmers’ attitudes and practices in plant protection in many countries. In Vietnam his work contributed to farmers’ insecticide reduction by 53% in several provinces in the Mekong Delta and similar pesticide reductions were recorded in his work extended to Central Thailand and Northern Vietnam. 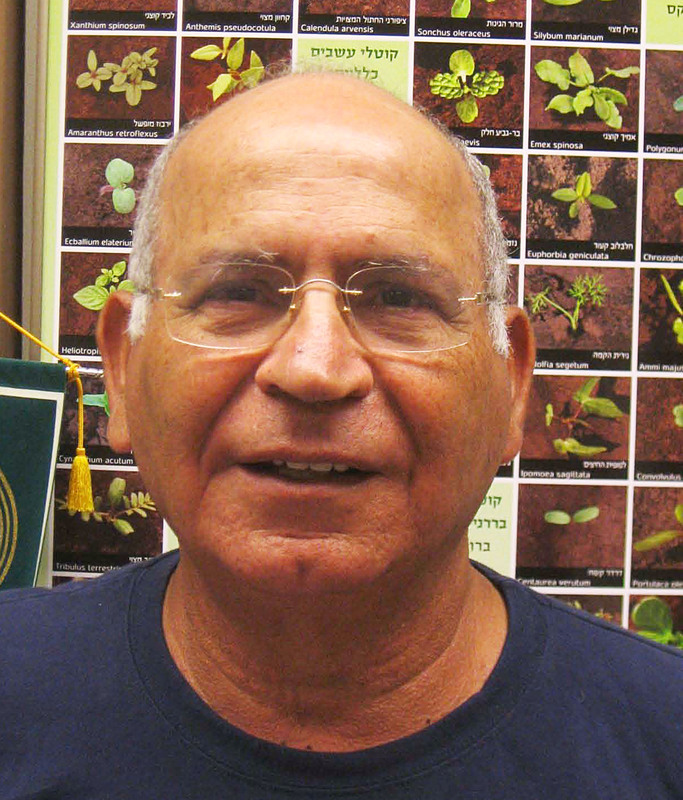 Dr. Baruch Rubin, Professor of Agronomy and Weed Science, The Hebrew University of Jerusalem, Rehovot, Israel. Prof. Baruch Rubin provides his expertise in Weed Science to the IAPPS Blog. He is the Jacob and Rachel Liss Professor of Agronomy & Weed Science, Department of Field Crops, Vegetables & Genetics , Faculty of Agric. Food & Environmental Sciences at The Hebrew University of Jerusalem, Rehovot, Israel. His major research interests are: Behavior and environmental fate of herbicides in plant, soil and ecosystems; Physiology and biochemistry of herbicide action (selectivity); Herbicide resistance in plants and weeds, including transgenic crops; Environmentally safe herbicide formulations. Weed biology and ecology; Integrated weed management (IWM) in field and horticultural crops. Herbicide and Reduced herbicides input in agriculture. Prof. Rubin teaches four courses in Weed Science to under- and post-graduate students, and has taught an FAO International Course in Herbicide Resistance in Weeds and Crops at the University of San Paulo, Jaboticabal, Brazil and a course “Use of Herbicides in Modern Agriculture, University of Cordoba, Spain. More than 55 M.Sc. and. Ph.D. students have conducted their theses under his supervision. At present, 3 Post-doctoral fellows, 7 Ph.D. and 9 M.Sc. students are working in his group. He is a past president of the President, Weed Science Society of Israel( 1984-1988 ), Vice President and Member of the Executive Committee, MESAEP – Mediterranean Scientific Association of Environmental Protection (1991-1995), 1996-1999 Chairman, Scientific Program Committee – 14th International Plant Protection Congress, Jerusalem, 1999-present Vice President, IAPPS – International Association of Plant Protection Sciences. He is currently a on the Editorial Board -J. Environmental Sci. and Health – Part B, member of the Japan-Israel Committee, co-operation in Plant Protection, FAO consultant, IPM (integrated Pest Management)and member of the European Herbicide Resistance Working Group. He is a member of the Weed Science Society of Israel, Weed Science Society of America, European Weed Research Society, International Weed Science Society, Mediterranean Scientific Association of Environmental Protection and the International Association of Plant Protection Sciences. 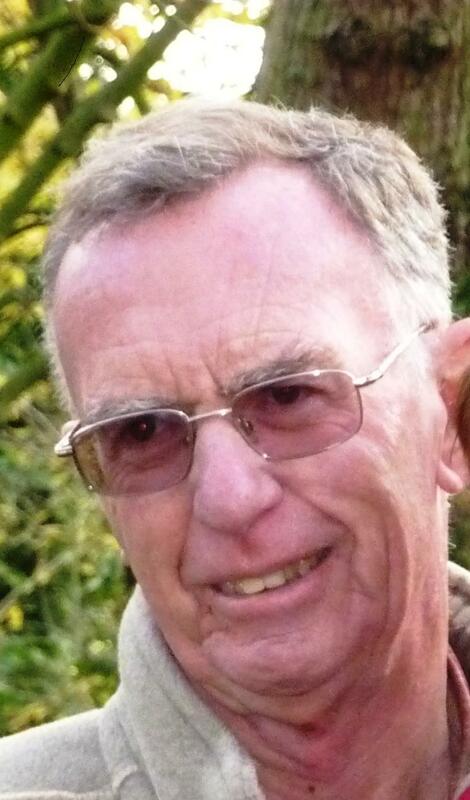 Prof. B. Merle Shepard is emeritus professor of entomology with Clemson University. His specialty is IPM and biological control and he has published over 160 refereed papers, seven books and numerous book chapters related to IPM. He recently co-authored a CABI published book entitled “Insect Pests of Horticultural crops in Southeast Asia.” He also has published over 75 extension type publications and field guides. In 1997, won the Award for Excellence in IPM presented by the Entomological Society of America. He has mentored the masters or Ph.D. programs for 31 graduate students. He was the Director of Clemson University’s Coastal Research and Education Center in Charleston, SC and provided leadership for research and education to improve integrated pest management and environmentally compatible agricultural production in diverse environments, including rice-based cropping systems, through partnerships and collaboration with other institutions, national agricultural research and outreach systems, farmers and other stakeholders. He lived and worked for four years in the Philippines as Head of the Entomology Department at the International Rice Research Institute and was the principal investigator on a USAID-funded program in Indonesia where he lived and worked for three years. He is currently the co-principal investigator on an Innovation Laboratory IPM CRSP project that focuses on farmer participatory research, capacity building and training in Cambodia, Indonesia and the Philippines.